This paper presents the results of some of the surveys conducted to map archaeological sites of Somaliland and includes almost 100 new and previously unpublished sites. The survey work was conducted by several of Somaliland’s Department of Archaeology staff, including Mohamed Ali Abdi, a Departmental survey officer, and the present author. This report is an archaeological testimony to the social complexity and cultural diversity of this region as a cultural crossroads for millennia, being strategically located on the Red Sea and Indian Ocean. However, the maps by no means exhaust the number of archaeological sites known to us in Somaliland. The region had vast Cushitic, pre-Christian and pre-Islamic Empires that at times formed part of the Himyarite and Sabaean cultures of Southern Arabia, the Aksumite Empire and early Islamic Empires of the Horn of Africa. The coastal populations were active seafarers according to Greek records as well as archaeological remains, linking to the Phoenician and Graeco-Roman worlds. They also formed part of an early global economy including the Silk Road. Islamic Empires of the Horn of Africa show an enormous wealth of long-distance trade—including material from Tang Dynasty to Ming Dynasty China—and the magnitude of some of their capitals such as the ruined town and burials of Aw-Barkhadle. Mire S. (2015), Mapping the Archaeology of Somaliland: Religion, Art, Script, Time, Urbanism, Trade and Empire, African Archaeological Review 32(1): 111-136. 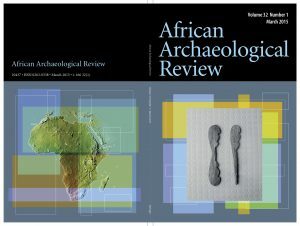 Related publication: Mire S. (2008), The Discovery of Dhambalin Rock Art Site, Somaliland, African Archaeological Review 25(3-4): 153-168.